Fines totalling nearly £19m have been imposed on 10 firms including Manchester United, JJB Sports and Umbro for fixing the price of replica football shirts. The Office of Fair Trading (OFT) found that the firms fixed prices for top selling short-sleeved adult and junior shirts of the England team and Manchester United. Price agreements were also made among some retailers for the short-sleeved adult and junior shirts for Chelsea, Glasgow Celtic and Nottingham Forest, the OFT said. The OFT says most of the price-fixing agreements covered key selling periods such as the launch of new kits and England's participation in Euro 2000. The retailer JJB Sports was fined £8.3m, one of the largest fines ever imposed by the OFT. 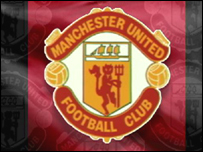 Other businesses fined were Umbro (£6.6m); Manchester United (£1.65m); Allsports (£1.35m); the Football Association (£158,000); Blacks (£197,000); Sports Soccer (£123,000); JD Sports (£73,000); Sports Connection (£20,000); Sportsetail (fine reduced to nil by leniency). Sheila McKechnie, director of the Consumers' Association, applauded the OFT's move. "The fact that the OFT has handed out such a sizeable fine shows that it means business," she said. "It is also particularly cynical that sports businesses have been exploiting one of the key family markets and have been in effect taking advantage of parents under pressure from children eager to get their hands on the latest kit." But JJB Sports, which received the biggest fine, vehemently denied any wrong-doing and said it would be appealing against the OFT fine. "JJB is very disappointed that the OFT have found it to be guilty of price-fixing; a charge which it believes is totally unfounded. "JJB today reiterates that it has never been involved in any form of price-fixing and will launch an immediate appeal against the decision of the OFT to the Competition Appeal Tribunal." Manchester United, which has always denied being involved in price fixing, also said it was disappointed at the OFT fine and was considering an appeal. The firms have two months to appeal against the OFT fines. The two-year OFT probe followed complaints by retailers that wanted to sell replica shirts at discounts and said manufacturers had refused to supply them. Under new rules the OFT has the right to impose penalties of up to 10% of turnover on firms found guilty of uncompetitive behaviour. "The fines imposed reflect the seriousness of the price fixing in this case," said OFT chairman John Vickers. "Since we launched our investigation the prices of replica football shirts have fallen and consumers can now shop around and get a better price." In 2000, the OFT found that, even after shopping around, replica football kits were priced at about £40. However, a random mystery-shop by OFT investigators earlier this year found wide differences in prices charged, indicating a breakdown of the price fixing arrangement. On Thursday, supermarket chain Asda said it would sell Manchester United replica shirts for less than £25. The company said it bought 6,500 of the club's home shirts on the grey market in Europe because they had been unable to get them through official channels. "JJB reacted with fury, describing the OFT as a kangaroo court"